Yap Ah Loy is believed to be one of the founders of the contemporary Kuala Lumpur. He is the developer of Kuala Lumpur allowing it to become a financial city to trade in during the mid-19th century. Culture bugs who believe that tourism is all about checking out the culture of a certain place should visit the Sin Sze Si Ya temple that was built by his workers. In 1864, the temple was built to remember the popular captain hailing from Sungai Ujong. This particular captain was defeated by the Malay forces that were the opposing forces at that time. He was beheaded and his death is said to be an extraordinary one since the blood that flowed from his decapitated head was in white. Soon, the Chinese in Malaysia discovered this and worshiped him as one of their deities. Most miners from China in the land at that time regarded him as their protector as they worked in the dangerous mines. When Yap Ah Loy became the third Chinese Captain of Kuala Lumpur, he did not forget the temple. Instead, he made sure that he relocated the temple from Sungai Ujong to a house in Kuala Lumpur in 1864. Then, when he made a large sum of profit, he moves the temple again, now to its current location along Jalan Petaling in Kuala Lumpur. This temple has great Chinese features on its architecture. You have to see it for yourself. No two temples are the same. At this temple, the main deities worshiped by the locals here are not the deities from China. Today, festivals that relate to the past era are still celebrated by devotes here in the temple. Visitors are allowed to come in and to offer sacrifices or burnt offerings if they please to. Visiting this temple is certainly an experience like no other. After all, you don’t always have the opportunity to visit an old temple in Malaysia. If you are having holiday in Kuala Lumpur and want to experience the local Chinese culture, the 15th day of the third moon of the Chinese lunar calendar is the best time to come. In the English calendar, this would be sometime the 15th of February. When in Malaysia, a sight that is rare to be seen in most parts of the world is the one where many religious sanctuaries can co-exist in harmony. 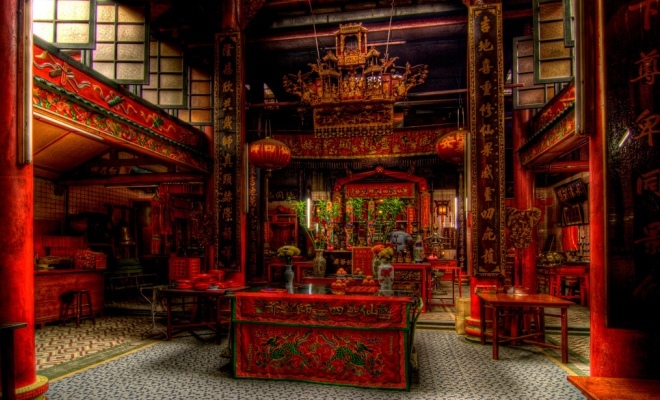 Make this temple one of your destinations while in KL!